BEGINNER AND INTERMEDIATE WATERCOLOR CLASS: Watercolor is a great medium to work in. It is cheaper than most mediums, quick, easy to clean-up, exciting, versatile, very portable, and a medium that almost anyone can be successful in. This class is designed for someone who has never painted in watercolor all the way to someone who feels they have a good grasp of the medium but wants to take it further. I’ll share all the tricks of the trade – I hold nothing back! In this eight week class you will learn the basic skills of watercolor painting, the best materials to use, how to mix colors that are bright and not muddy, how to make beautiful rich darks and neutrals, how to let the paint do most of the work, different ways of applying the paint, contour drawing, different types of brush work, how to paint flowers, trees, skies, landscapes, still life, and people. The focus of the class will be painting in a loose style focusing on suggesting things instead of stating every detail. Each class I’ll give instruction on what we’re learning that day then do a demonstration and the last part of the class you’ll practice what I taught while I walk around and give one-on-one help to each student. This class is loaded with information and inspiration! This is an 8 week class starting January 20th from 9:30 am to 12:30 pm. Click here Watercolor Registration Form and Supply List for the registration form and supply list – just print it, fill it out, and mail it in. Let me know if you have any questions. There are only 10 spots in the class and they fill up fast so don’t delay if you’re interested! Don’t forget this could be a great Christmas gift for you or for a loved one. The pictures are out of one of my journals. Above is a close-up. I did this one really quickly – just wanted to do something quick and easy and loose. 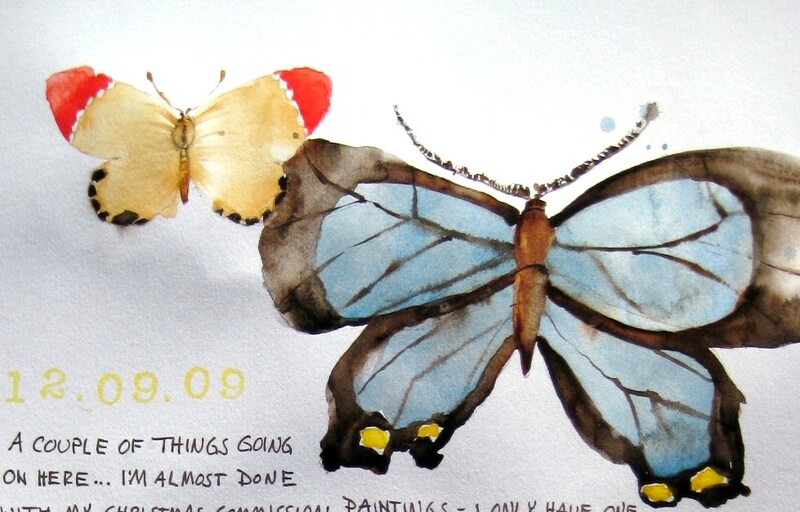 I love doing butterflies – they are so colorful and fun! Wish I lived near enough to participate, Sandi. I know it will be so much fun. 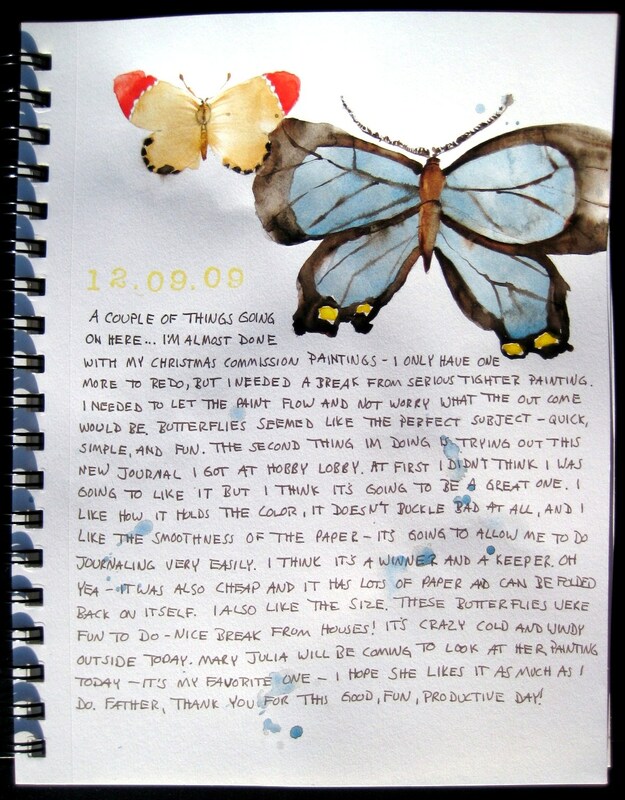 I love the art journal page too, but then that is no surprise. I love all of your paintings, which is why I keep coming back! Well, that and your wonderful faith-filled spirit. I wish you did too Sherry!!! You are always so graciously kind with your comments! Have a great Christmas!! !